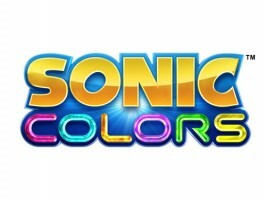 With details on Nintendo’s new handheld, the 3DS, available in earnest, it’s no wonder one may have overlooked the fact Nintendo showed off much of its upcoming roster at this morning’s Fall Conference–including Sonic Colors. The peek was short but sweet, offering glimpses of Tropical Resort, Sweet Mountain, and for the first time, Starlight Carnival in action. That action only lasted a couple short seconds, but it was enough to see how the stage’s trademark materializing walkway will work. We can’t embed the video proper here, but Nintendo of Japan has made the montage available via its web portal, where you’ll be able to see other quick peeks of what’s in the pipeline for the Nintendo Wii. A quick screenshot of what we’re talking about is available below. Some quick peeks at the portable edition of Colors are also available on the DS side. And, by the way, Sega released a wallpaper today from the game.